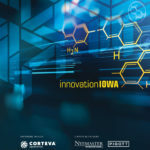 Entrepreneur, venture capitalist and 2020 Democratic presidential candidate Andrew Yang will be speaking at the 2019 Monetery tech summit in Des Moines, hosted by Dwolla at the Temple of Performing Arts. Yang is the founder of Venture for America, and as a political candidate is best known in the field for his universal basic income proposal “The Freedom Dividend.” He will speak on how policy can impact the tech world, and the role companies can play as influencers, Dwolla said. Yang joins keynote speaker Matthew Prince, co-founder and CEO of Cloudflare, and six other announced speakers during the May 21-22 summit.